Women from all over Colorado – from Colorado Springs to LaPorte and Aurora to Boulder – came together on March 3, 2018, for a full day of workshops designed to get more women running for office. 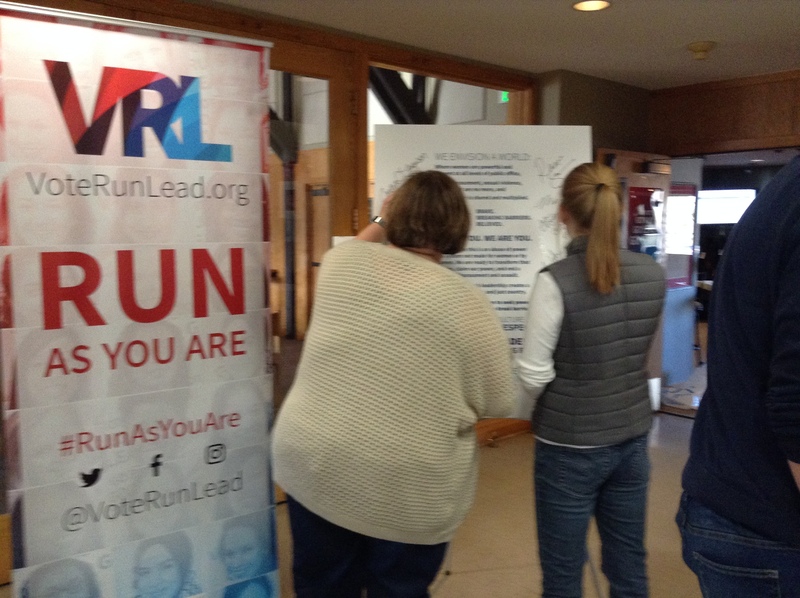 The Run As You Are training was put on by Colorado 50-50 and VoteRunLead. The morning kicked off with lead trainer Faith Winter, who started her political career on the Westminster City Council and then became a state legislator. She was joined by Dominique Jackson and Dafna Michaelson Jenet, also state representatives. The lunch panel brought even more insights and anecdotes from women politicians, including State Representative Joann Ginal, Larimer County Treasurer Irene Josey, and Greeley City Councillor Rochelle Galindo. From practicing stump speeches to starting a 90-day challenge, participants walked away with practical information, new connections and a newfound energy. To see a photo album from the day, visit us on Facebook. Colorado 50-50 and VoteRunLead greatly appreciate the time and expertise shared by the trainers and panelists. We would also like to thank our sponsors and donors whose contributions made the training possible: Women’s Foundation of Colorado, Judi Wagner, Pemberly Woods, King Soopers, and Kathy Yates. And, here’s a big shout-out to our volunteers!